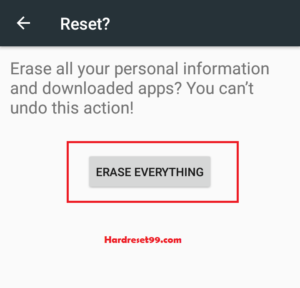 Here you can learn How to Hard Reset Spice V801 android mobile easily. You don’t need any software to reset your Spice mobile. 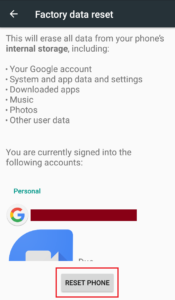 Reset deletes all your mobile data like photos, apps, Music files, and Contacts etc. 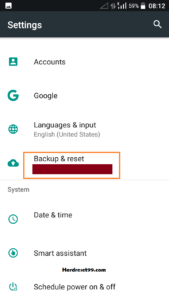 So before resetting backup all your mobile data. You don’t need any password or Pin for this method. Switch off your Spice V801 phone. Now choose the option yes with Volume Buttons to select and Power button to accept. Finally, Select reboot system now the option. Hard Reset done on your Spice V801 mobile. You need a password or pattern lock for this method. Switch On your Spice V801 phone. 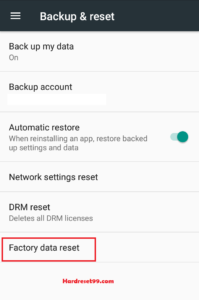 Now choose Factory Reset option. Next, select option Reset Phone option. Finally, Select Erase everything Option. Factory Reset done on your Spice V801 mobile.